Named one of the top ten restaurants in 2010 by Esquire Magazine, Bistro Niko offers patrons a piece of Paris, in the heart of Buckhead, Atlanta. Grand ceilings, antique lighting, Parisian art and a patio overlooking Atlanta’s famous Peachtree Street make Bistro Niko both a vacationer’s dining destination and a local’s neighborhood haunt. 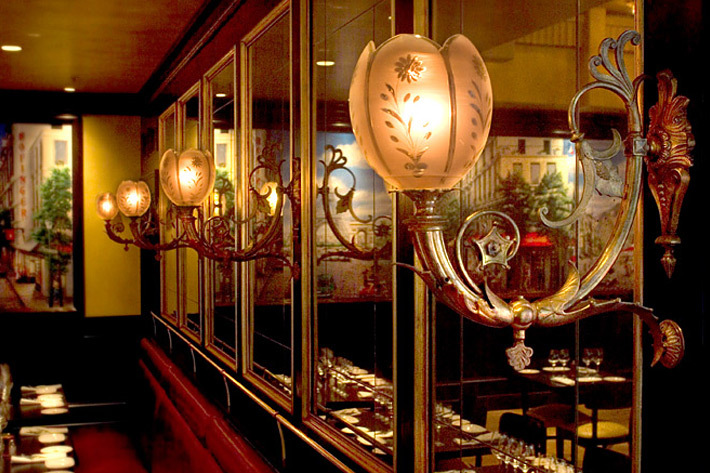 “…Big, brassy and teeming with life, it could easily be compared to some of the more famous brasseries that have come before it – Brasserie Lipp in Paris; or perhaps Balthazar in New York City.” says Meridith Ford Goldman, Atlanta Journal Constitution. 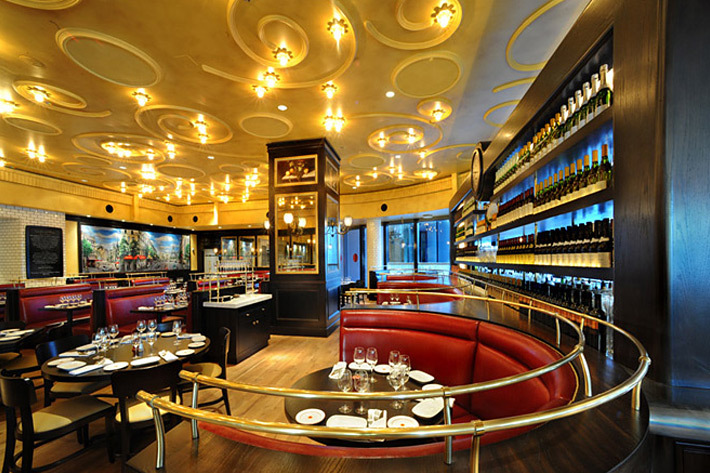 CD+M provided design of the interior lighting and controls for Bistro Niko. 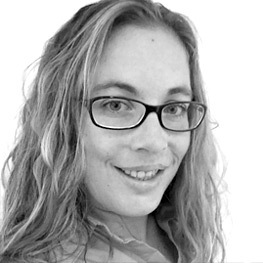 Originally from Rhode Island, Melissa Sparks joined the CD+M team in 2012. Her professional lighting design background includes hospitality venues, museums, science centers, amusement parks, office developments, and retail facilities. With extensive experience providing both design and site supervision services, she is able to skilfully carry a range of projects through from conception to completion. Ms. Sparks is an Associate Member of the International Association of Lighting Designers and Lighting Certified by the National Council on Qualifications for the Lighting Professions. Chris Stewart graduated from the Savannah College of Art & Design with a Master’s Degree in Architecture and an Electronic Design minor. He is skilled in the installation, configuration and use of design technology applications, and the creation and administration of construction documentation. He has created artistic 3D visualizations of architectural projects, using both still renderings and animated features. 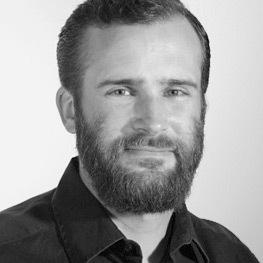 Chris Garvey joined the Los Angeles office of CD+M Lighting in March of 2007 after graduating from the University of California at Davis with a Bachelor of Design specializing in Interiors. His studies focused on interior and lighting design. Prior to joining CD+M, Mr. Garvey completed an internship at the California Lighting Technology Center at UC Davis where he worked to test new lighting technologies, lighting systems and control systems. Amy works in the London office of CD+M and has nearly 10 years of experience in retail, commercial and mixed use projects. Amy has completed a Light and Lighting Masters of Science, which reinforced her understanding of the cultural, psychological and physiological significance of light in the built environment and enhanced her creative and technical abilities as a lighting designer. 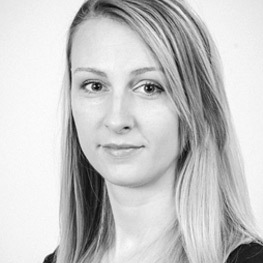 Amy gained 6 years experience working in London on a range of projects including commercial headquarters, restaurant chains, retail spaces and high-end residential complexes. Amy possesses a conversational level of Mandarin after spending 2 years studying mandarin and 3 years working in the CD+M Beijing office. Teresa Enroth’s experience in the themed and architectural lighting world stems from more than 25 years of experience in lighting live performance including theatre, dance and corporate events. Her architectural design includes theme parks, entertainment venues, museum exhibits, hotels and office buildings. Ms. Enroth has also toured as a production manager for theatre shows. This touring experience of finding solutions to unexpected challenges within time limitations, enhances her construction administration efforts where she has overseen architectural and theatrical installations both domestically and overseas. She has also programmed the final lighting looks required by the projects she works on. 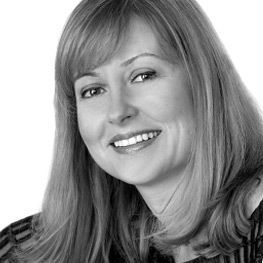 In addition to employment as a Designer with City Design Group, Los Angeles (1997-2003) and as Senior Designer at CD+M, Los Angeles (2007-2009), Ms. Enroth has also collaborated with a variety of high-profile clients on a contract basis including the Ruzika Company, Thinkwell Group and Walt Disney Imagineering, in Los Angeles. Vivianne started her 15 year+ career as a lighting designer in New York after receiving her degree in Architecture in Brazil. She has a thorough understanding of the nature of light and how it impacts environments and the people who inhabit them. She approaches each project open to the possibilities of developing unique lighting solutions and has worked across a wide selection of interiors from Healthcare, Retail, Commercial, Corporate and Residential projects in which she has participated. She works closely with other team members, in all stages of a project, from preliminary layout to the final job site visit, lending her technical skills to help chart a design’s success. She was an architect prior moving to the US, and continued her education focusing on interiors and lighting design before joining CD+M in 2014. 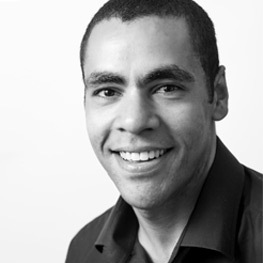 Waleed joined the Dubai office of CD+M in 2012. Mr. Fakousa has extensive experience collaborating with renowned architects and designers on high-profile projects around the globe. 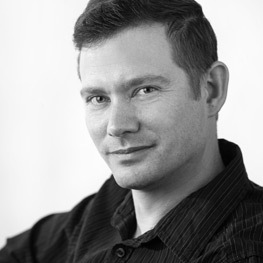 Prior to joining CD+M, he received a BA in Architectural Engineering and Building Technology and a Masters in Architectural Lighting Design from the University of Wismar, Germany. Waleed assisted our Dubai office in several projects to be nominated and win the Middle East Lighting Design Awards 2014 & 2016 in two categories. He currently runs lighting design workshops at leading design firms to raise the awareness of the importance of lighting design in the various markets segments. He has also been awarded the 40Under40 recognition by LUX magazine during Lighting Design awards 2016 in London, UK. Professionally, Mr. Fakousa spent several years as a lighting designer with one of Germany’s foremost lighting design firms and worked for an industry leading architecture office in Cairo, Egypt. His proven expertise, attention to detail and feasibility and concern for human wellbeing enable him to successfully manage a variety of project types, sizes, locations and demands from inception to realization. Baiju Chaliyil has worked in the Gulf region for 17 years with a broad range of experience from work in Saudi Arabia to the recently completed Galleria Mall on Al Maryah Island, Abu Dhabi. His electrical installation and site supervision experience is broad based ranging from procurement reviews, extensive mock-up coordination, inspection, trade coordination, approvals, shop drawing review, focus and aim and programing. Working on a wide range of high-end projects has not only exposed Baiju to a wide spectrum of lighting applications, technologies and controls but also the importance of their relationship to materials and ambiance. 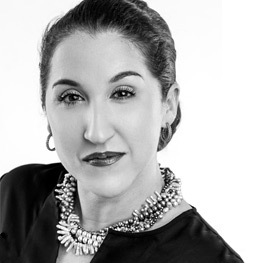 Based out of CD+M Dubai, Senior Associate, Courtney Mark contributes extensive knowledge and experience in international hospitality design to the CD+M team. Ms. Mark’s passion for the interaction between light and shadow as well as her sensitivity to the social aspect of space enable her to develop versatile, intentional architectural lighting designs. Over the past 12 years, she has played a leading role in the design, management and construction of many high profile and award wining projects spanning North America, Central America and Asian markets. Shifting her primary focus to hospitality lighting design in 2007, Ms. Mark has collaborated on projects in a range of markets throughout her career including landscape, master planning, city beautification, commercial and high-end residential. 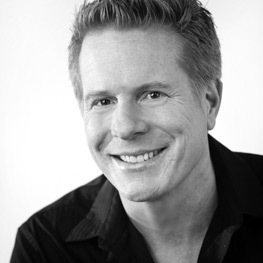 Prior to joining CD+M, Ms. Mark held a Senior Designer position with Reveal Design Group for two years and spent eight years as a Senior Designer and Associate with AWA Lighting Designers, leading the firm’s newest international design studio in New Delhi, India. 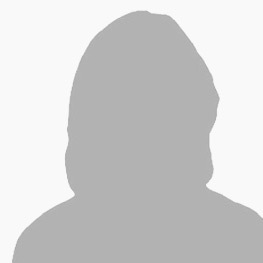 Her work is frequently published in trade publications across the globe. With a background in electrical engineering, Sunny Kang blends her in depth technical knowledge of lighting technologies with her broad understanding of aesthetic detailing to develop innovative custom lighting plans. 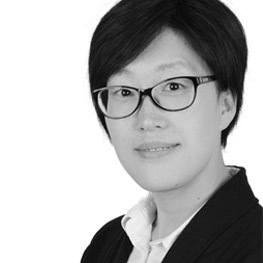 Having worked in the lighting industry since 2004, Ms. Kang has gained a strong experience base in electrical systems, fixture installation and on-site coordination for all design disciplines related to lighting. She has contributed to projects ranging from hotels to office buildings and mixed-use towers. As Principal Designer, Ted Ferreira has been actively involved in the design and production of entertainment, educational, cultural and commercial facilities for more than twenty-five years. His work ranges from conceptual design to project management and site supervision for more than 600 projects worldwide exceeding 8 Billion US$ in value. Formerly a staff instructor at the University of California Los Angeles, Mr. Ferreira has served as a contributing editor and board advisor for several internationally recognized trade publications and exhibitions in the design industry including Lighting Dimensions and Live Design and frequently lectures at industry events and conferences worldwide. 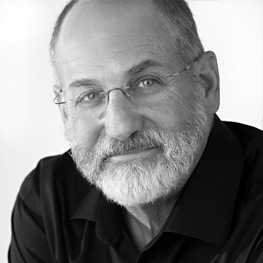 Marc Rosenberg trained as a theatrical designer and has served as an architectural lighting designer and theatre facilities consultant for more than 35 years. His portfolio ranges from churches and museums to major hotel, casinos, resorts and cruise ships. 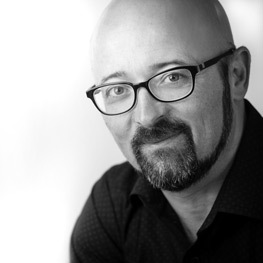 Having founded Marcad Lighting Design in 1993, Marc is currently the Managing Principal for the Los Angeles office and Director of Design for CD+M Lighting Design Group. Bill Johnson established CD+M’s Dubai office in 2008 and has led the firm’s regional growth into a cross-section of markets and architecture including complex theme park venues, retail, hospitality, and public realm applications. With over 25 years of construction experience worldwide, Mr. Johnson has managed the design and site supervision of many high profile projects in the North American, European and Asian markets and brings a unique combination of global product knowledge, design, procurement and site supervision skills to CD+M’s projects throughout the Middle East and India. He is Lighting Certified by the National Council on Qualifications for the Lighting Professions and a member of the Illuminating Engineering Society. With an educational background in theatrical and dance lighting, Shawn Whitaker has applied his expertise to numerous architectural and themed projects over the past decade. His experience includes nightclubs, casinos, theme park attractions, cruise ships, retail, and hospitality. His design work can be found domestically and internationally in the United Arab Emirates, Japan, China, Indonesia, and Malaysia. 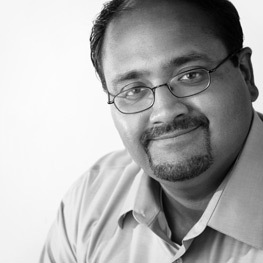 Anjan Sarkar joined CD+M in 2006, focusing on academic, corporate, healthcare, ecclesiastic and mixed-use projects. Contributing a vast knowledge of design principles, technologies and sustainability practices, he works closely with clients to develop aesthetically pleasing and sustainable architectural spaces. 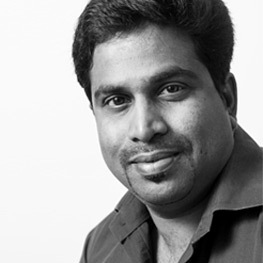 Mr. Sarkar also holds a Bachelors degree in Architecture with practice in the field for 6 years, and a Masters degree in Engineering of Lighting and Electrical systems. Mr.Sarkar is a LEED® Accredited Professional and an Associate Member of the Illuminating Engineering Society of North America. He has been a speaker at Lightfair®, as well as numerous USGBC and IESNA forums, and serves on the boards of several IESNA Committees. 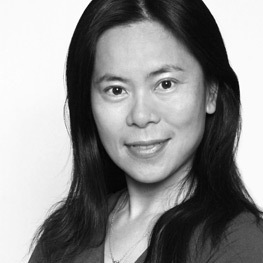 Mary Luo has more than 2 decades of professional experience as a lighting and electrical system designer and has contributed to the design and management of many projects throughout the PRC and US. In Shanghai, Ms. Luo focused on education buildings, office buildings, the renovation of historical buildings, museum and exhibits, sports stadiums, and planning of residential and scenic areas. In 2005, Ms. Luo became one of the first National Registered Electrical Engineers of China and went on to serve for 6 years as vice president of both the Illuminating Engineering Society of China and the Shanghai Illuminating Engineering Society. Ms. Luo is Lighting Certified by the National Council on Qualifications for the Lighting Professions as well as a member of the Illumination Engineering Society of North America.